New BlackBerry Pearl colors coming to T-mobile | BlackBerry Blast! T-Mobile will launch three new BlackBerry Pearls in three new colors. 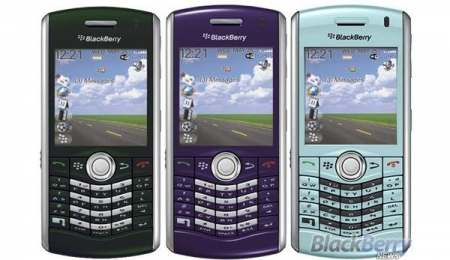 In the near future you will be able to purchase the BlackBerry Pearl in tahitian green, indigo and light blue. T-Mobile already offers the BlackBerry Pearl 8120 in Ruby, Gold, and Titanium. Keep your eye out for the new colors set to launch in the coming months.